Transparent brilliant sparkling colour. Fast drying water based ink. Non-fading water resistant. Particularly for glossy vellum and coated paper are suited for reproducing fine detail and lines. 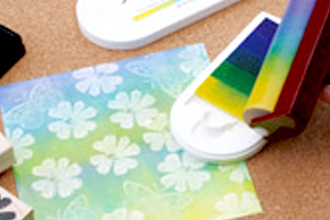 Dries very quickly for regular paper like New Year’s Greeting postcards and schedule stamps. The brilliancy of the ink is more obvious than regular dye ink resist for water and light. 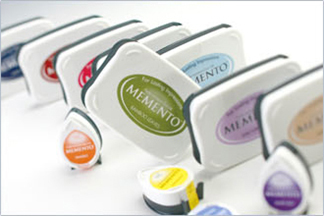 Memento Dew Drop is suited for coloring the border lines and fine detail artworks. Applications include coated paper, vellum, uncoated paper, and printer paper. 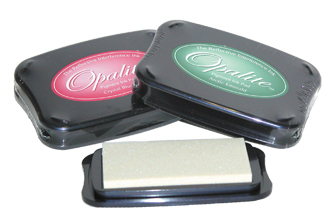 Pigment chalk ink in a variety of elegant colours. 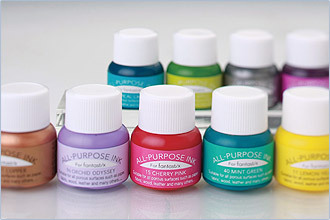 Versatile, matte ink can be used for a wide range of applications. High opacity ink works wonderfully on dark paper. The colour line includes many natural pastels. Perfect for coordinating with photos and ideal for scrapbooking. Formulated for use on uncoated paper, coated paper, vellum, photo, leather(tanned leather), unpainted wood, polymer clay, shrink plastic, and terracotta. An exceptionally large colour line ensures you have the perfect color every time. 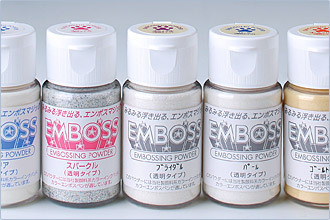 Fade resistant, traditional pigment ink and for embossing. Main application is uncoated paper. Rich and radiant pigment ink. 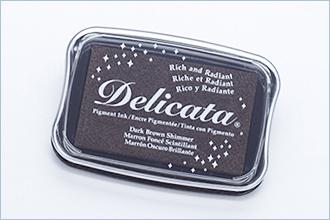 Delicata Golden Glitz is faster drying than tradional metallic inks. Main application is uncoated paper. 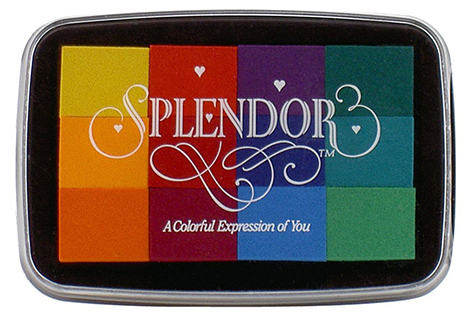 12 Multi-colour vibrant pigment ink pad. Fade resistant, traditional pigment ink and great for uncoated paper. 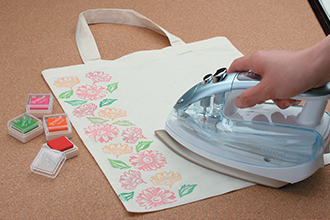 Put your personal design on all of your crafts. Images become permanent with heat setting. Applications include fabric, unpainted wood, uncoated paper, japanese papers, leather(tanned leather), and unglazed pottery. 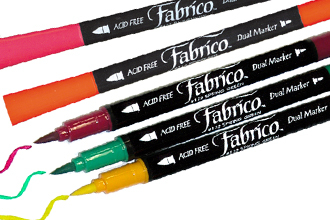 Acid free dual markers. One end of the marker is a brush and the other for finer details. Images become permanent with heat setting. Suitable for include fabric, unpainted wood, uncoated paper, japanese papers, leather(tanned leather), and unglazed pottery. 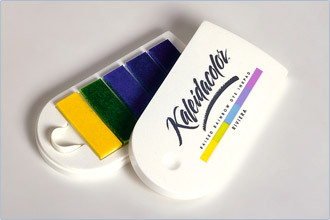 Multi-colour dye ink pad with unique colour combinations. 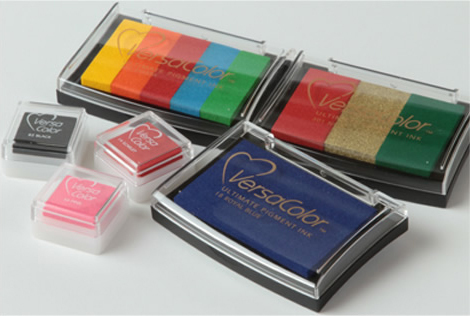 The patented sliding pallet keeps ink colours separate and prevents the colours from bleeding together. Colours are extremely vivid on coated paper. 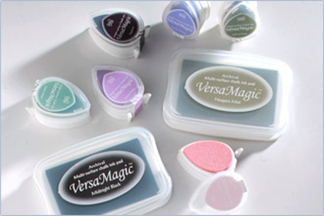 Can be applied to plastic, metal, shrink plastic, rubber, leather, polymer clay, laminated paper, coated paper, uncoated paper, photo, glass, porcelain, terracotta and cellophane. 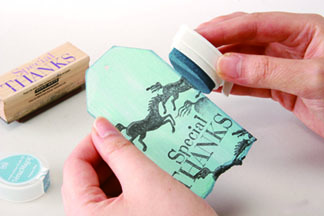 Made for use with dark coloured papers. This iridescent ink’s colour changes with the reflection of light. 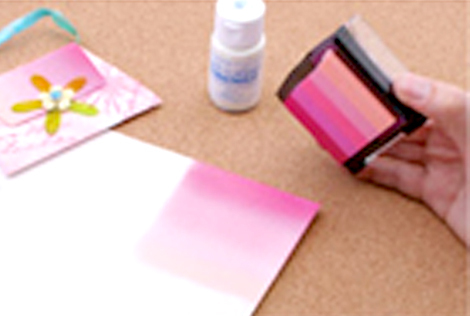 Colours appear a tinted pearl color when used on light coloured papers. Suitable for black or dark coloured paper, coated paper, photo, leather(tanned leather), unpainted wood, polymer clay and shrink plastic. An easy way to achieve magnificent results. 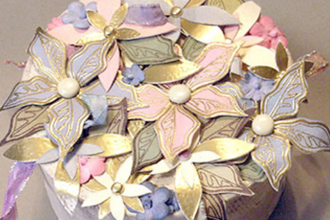 Embossing transform images into stunning 3 dimenional images. To use on uncoated paper, coated paper and vellum. 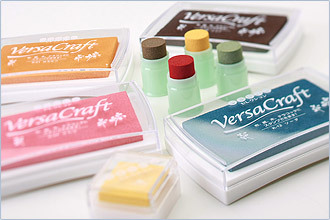 Vivid colours for all your crafting projects. Ink will not cake and fabrics remain soft. 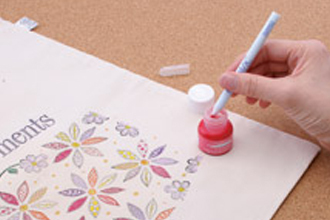 Perfect for colouring textiles. Can be applied to fabric, unpainted wood, uncoated paper, leather(tanned leather) and unglazed pottery.